Been a while I listened to classical vocalist like this. 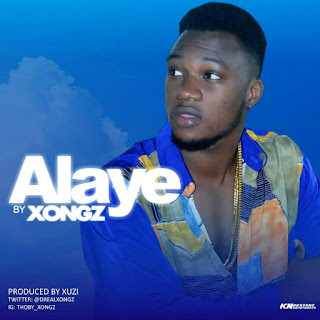 Brand new single from Xongs titled "Alaye". Oluwatobiloba Gregory Olawale Abumere Shoyombo hails from Ogun state. Born and bread in Lagos, he attended Premier Nur/Pry school at Palm Avenue, Mushin. He later/ moved to Surulere where music took toll on him. Xongs made his name and debut through live performances which has also been his major strength. I still confuse his voice for Brymo's lol. Check out Alaye by Xongz below.